The Agbalumo season is here again and it is that time of the year when wheelbarrows of the fruit litters everywhere. The African star apple is more commonly known as Agbalumo in Yoruba and Udara in Igbo. Just like every other fruit offered by nature, it has some wonderful health benefits. From the prevention of mouth gum disease to the tackling of toothache as well as sore throat, the benefit of consuming Agbalumo goes on and on. The milky juice that comes out of it when squeezed or sucked is not only satisfying like the chewable skin, it comes with some wonderful health benefits, which are highlighted below. For people who count their calories, Agbalumo might be the fruit you’ve been waiting for. Studies have shown that a serving of Agbalumo contains just 67 calories; thus making it a good option for people with weight issues as they get fewer calories intake in the process of consuming it. 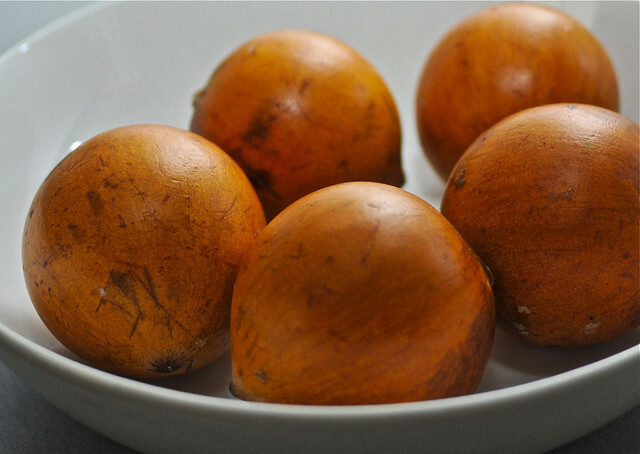 Agbalumo contains a high Vitamin C content i.e. 100g of the fruit gives about 25mg of vitamin C. This helps protect the body against immune system deficiencies, cardiovascular disease, prenatal health problems, eye disease, and even skin wrinkling. It is also helpful in maintaining the healthiness of your gum, preventing sprue and gum disease. Antioxidants help prevent the damage to the system caused by free radicals. Free radicals are unstable molecules that are produced in your cells during your own metabolism. Their production increases in response to stress or injury. Intake of foods and drinks that can neutralise these free radicals are highly encouraged, and Agbalumo does just that. The acidic taste of Agbalumo help prevents the urge of vomiting during pregnancy. However, they should consult their doctors on ante-natal diet. The sweet and sour taste of agbalumo acts as a natural remedy for common issues such as constipation, toothache sore throat, and indigestion. Herbal practitioners are also known to use the bark of the tree to treat yellow fever and malaria, while the leaves are useful for treating wounds, stomachache, and diarrhea. However, the leaves have been proven to be toxic when taken in excess quantities.